SkinCeuticals Corrective Gel Review: Is It Suitable For My Skin? 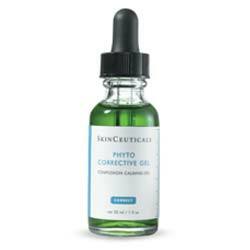 SkinCeuticals PHYTO CORRECTIVE GEL: Is It Suitable For My Skin? Helps reverse the damage caused by UV and other environmental factors. Gives dry, aging and damaged skin a much-needed moisture boost to help stimulate faster healing. Lightens dark marks caused by sun damage and reveal a brighter, more flawless complexion. Firms up skin and improves skin elasticity. This product is formulated by Skinceuticals, a company that traces its roots to a strong research background on skin cancers. Cucumber and Thyme: Help regulate excessive oil production while also lending their anti-inflammatory properties to this formula to help relieve skin irritation. Hyaluronic Acid: Attracts moisture from the atmosphere to rest on the surface of your skin as it acts as a moisture magnet that keeps the additional moisture close to your skin and gradually releases these over a long period of time. Mulberry Extract: Loaded with antioxidants, this helps protect your skin cells from cellular damage causing UV and free radicals, while also supporting skin healing, lightning, and overall rejuvenation. Uva Ursi Extract: Has natural anti-inflammatory properties that helps relieve skin irritations and damages that eases redness, itching and swelling, while also lightening your acne marks to help reveal a brighter, more flawless complexion; also helps improve skin elasticity and the appearance of saggy skin. Use SkinCeuticals PHYTO CORRECTIVE GEL as part of your daytime and nighttime skincare routines, applying the product after a fresh cleanse and toning. Use it under your thicker moisturizers and layer as close to your skin as possible. This product is multifunctional, formulated to deliver multiple benefits that helps improve the appearance of damages on the skin matrix. With regular use, this product promises to reveal a more youthful skin with a brighter complexion and less noticeable wrinkles, age spots and other signs of damage and aging caused by UV and other environmental elements. Formula promotes firmer, more elastic skin. This product is infused with ingredients well-known to be highly irritating even to non-sensitive skin types, which includes butylene glycol, fragrances, and artificial colorants. This product is also formulated using benzyl alcohol, a skin irritant, and phenoxyethanol, a neurotoxin, as product preservatives. It is generally unclear how this product fits into your skin care regimen because it says it is “corrective” but, the ingredients lineup hardly contain any ingredient that will help reverse sun damage. SkinCeuticals PHYTO CORRECTIVE GEL contains some impressive ingredients that guarantee this product is able to deliver on its basic functions. 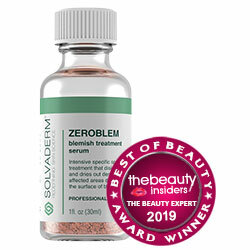 However, the formula does not provide enough active ingredients that will help heal sun-damaged skin. Unfortunately, the irritating products included in the formula makes this product deliver even less power over wrinkles and age spots caused by UV. If any, this product will irritate and cause your skin to become damaged even more.